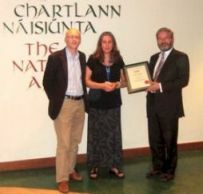 It seems the Certificate of Irish Heritage initiative, launched by the Department of Foreign Affairs in early summer, has not fallen victim to austerity cuts. In response to emails I'd received via Irish Genealogy Toolkit in the last couple of weeks, I contacted the Department to find out if the scheme had, for whatever reason, been shelved. It was, after all, supposed to be up and running by the end of 2010, and no one had heard a peep about it for months. 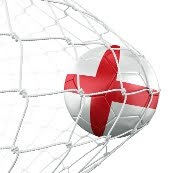 underway with the company deemed most suitable to operate the scheme. appropriate to go into further details on these negotiations. I don't speak 'government tongue' so I may not be picking up nuances in this reply but it seems, at the very least, to be saying that the scheme isn't yet dead in the water. 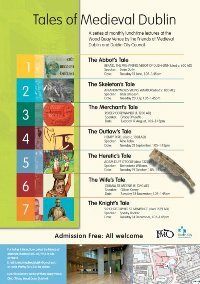 St Stephen's Day sees the launch of 'Start Your Family Tree Week', a new initiative supported by Eneclann, the Genealogical Society of Ireland and the Irish Family History Society. 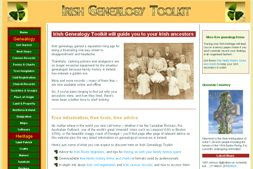 Start Your Family Tree Week aims to encourage more people to find out about their ancestors and their Irish heritage. 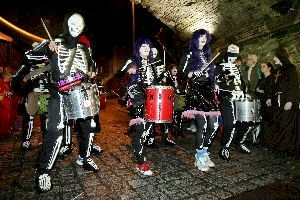 They can sign up, free, for a series of emails which will be sent daily from 26 December to 1 January and will include advice and features written by experts, links to useful websites, and competitions with worthwhile prizes. 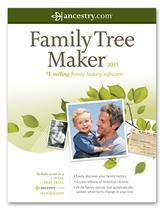 All you have to do is visit www.startyourfamilytree.ie and sign up for the newsletter. PRONI's temporary self-service facility at Cregagh has announced its opening hours over the Christmas/New Year period. 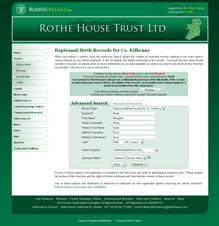 IrishGenealogy.ie, which is funded by the Department of Tourism, Culture & Sport, has announced that the next release of church records will be delayed until ‘early 2011’. 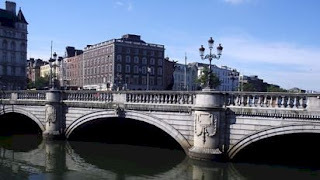 This tranche of Roman Catholic records, which includes Dublin City and the remaining records from the Diocese of Cork & Ross, had been scheduled for release ‘before the end of 2010’. Prior to the announcement, vibes from the project suggested it was on target so it’s hard to believe that funding cuts have hit the project so late in the day. There’s been no explanation for the delay. Nor is there any information available over and beyond ‘early 2011’. I wish they'd be more specific! Dating back to 1892, the archives of the Southern Star newspaper can now be searched and viewed free of charge via the paper's website at www.southernstar.ie. Just click the link next to the Star logo. 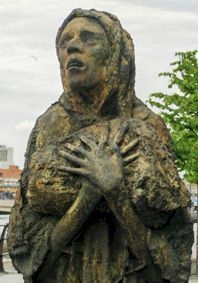 The archives are held at www.irishnewsarchive.com which offers a variety of subscriptions to view historical papers from across the country. It's well worth a look. I was lead to believe that the Southern Star archive collection was viewable, free, via the host site, but this didn't turn out to be the case. The only free route I found was direct from the newspaper's header. This may have been caused by a temporary problem. I've contacted the Irish Newspaper Archives; if there's any update on this, I'll make a note here. PRONI Photo Archives now on Flickr! 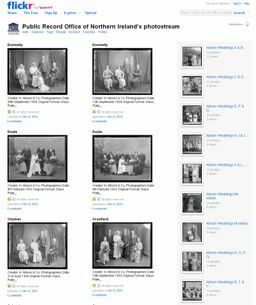 The Public Record Office of Northern Ireland (PRONI) has released a delightful collection of wedding photographs taken between 1900 and 1952. 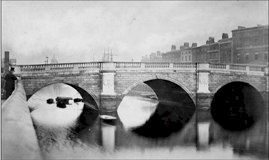 They were taken by the Allison Photographic Studios in Armagh, and will be of interest to family historians with links to County Armagh, South Down and County Monaghan. Unusually, PRONI has chosen to release them through the social networking site, Flickr, rather than its own website. To date around 200 digital images have been made available, with more being added over the coming weeks until all 1530 images are posted on the site. Visitors to the website will be able to browse through the images alphabetically, by family surname. The online images are the product of a year-long project undertaken by PRONI to arrange, list, re-box and digitise the original glass plate negatives. This will enhance the collection of key resources which PRONI has already made available online, including street directories and wills indexes. PRONI's online services team is striving to ensure that those researching local or family history have rich sources available during PRONI's move to new accommodation at Titanic Quarter. 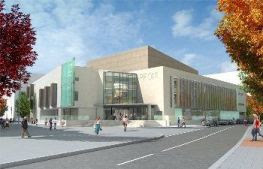 The brand spanking new Public Record Office of Northern Ireland (PRONI) will open to the public on 30 March 2011. 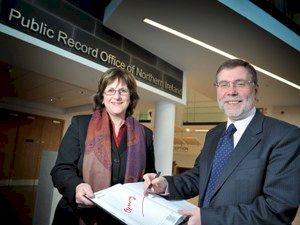 Speaking from the state-of-the-art facility in Titanic Quarter, Belfast, Culture Minister Nelson McCausland said: "In September 2009, we reported that the new PRONI headquarters was due to open in May or June 2011 following the removal and relocation of over 40km of unique, irreplaceable and some priceless, documents. It is therefore a fantastic achievement, through the careful planning, dedication and hard work of my staff and our partners, that the new PRONI is opening well ahead of schedule." 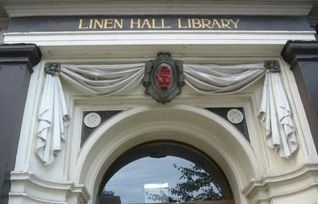 The replacement record office, which befits PRONI’s position as one of the three National Archival Institutions in the United Kingdom, will provide larger and better facilities for the access of PRONI’s records. Its location will also mean much easier access for local, national and international visitors. 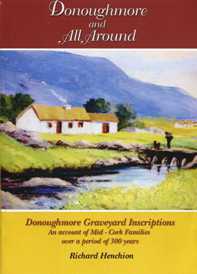 A new edition of Tracing your Galway Ancestors has been published this week. 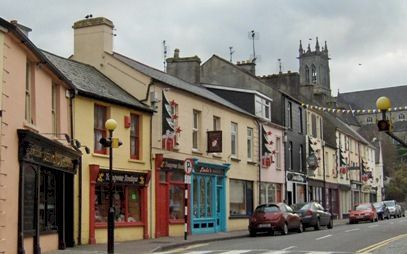 Written by Peadar O'Dowd, this latest offering from the Flyleaf series of County Guides has been fully updated with details of how and where genealogy resources can be accessed. 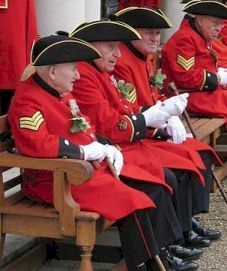 It also provides an overview to the social history of the county. 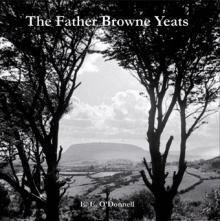 Costing €13.00, plus postage and packing if mailed outside Ireland, the 160-page book can be ordered at www.flyleaf.ie.